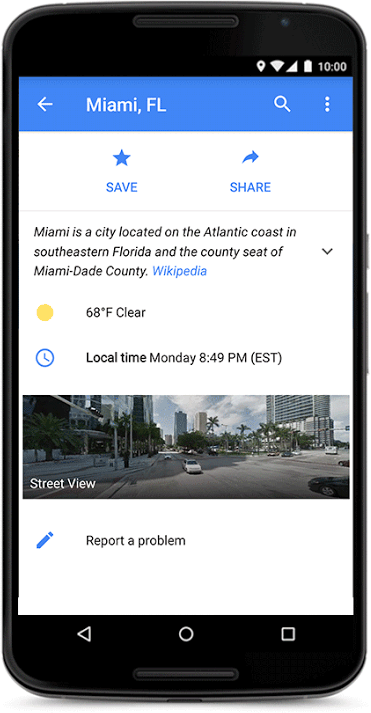 Google announced on Google+ that the new Android version of the Google Maps app has added real-time weather data and quick facts to when you do searches of locations. It also added automatic re-routing when a road closes along your original route, which also came to the iOS version. The Android version has the real time weather, not the iOS version.